News International, owners of The Sun have denied rumors that they have decided to institute a paywall at their newspapers website after competitor News of the World was shut down by News Corp.
News International has finally decided against introducing usage fees for The Sun’s website and is performing a restructure to place more emphasis on advertising sales, paidContent understands. The Sun will introduce a paid mobile content app imminently; it is currently consulting with readers on the appropriate fee. But it will not be following Rupert Murdoch’s edict in which he appeared to say that all his news titles’ websites should charge. Recently studies have revealed that users are more willing to pay for mobile content over online browser based fare which explains the company’s motives for offering their content via a paid mobile application. 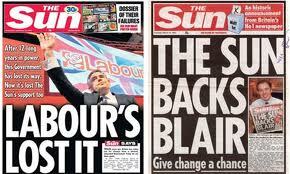 Would you be willing to pay for mobile optimized content from The Sun newspaper?